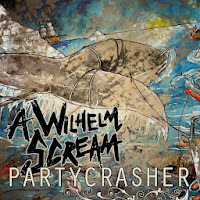 A Wilhelm Scream has never sounded better than they have on Partycrasher, killing it equally in production, conciseness and hooks, all of which make a very satisfying listen. Vocalist Nuno Pereira continues his winning streak of strong vocal performances, hitting some of the highest notes I’ve ever heard from him in the chorus of “Devil Don’t Know” and additionally offering some aged, insightful lyrics in "Hairy Scarecrow," like "How much time I've wasted being so angry / I have to say it's getting old." His voice can get a bit Nickelback-y at times, like for a short segment in the bridge of “Boat Builders,” where he goes a bit too low on "There be no guts no glory," but those moments are few and far between the glory, which, I contend, is definitely present. As usual, the guitar work comes to be the true star of the album, with some absolutely blistering sections of speed and precision. The combined catchiness and skill of the rapid fire palm muting in "Hairy Scarecrow," the short, tight riffs in "Number One," the intro of "Ice Man Left a Trail"—I could go on for days and still have more to praise. “Sassaquin” boasts an extremely creative chorus by forgoing the use of powerchords and, instead, creating a melodic layer of guitar harmonies underneath the hook as Pereira belts out "Don't blame me." Additionally, bassist Brian Robinson rises far above other bass players with his performance throughout record, knowing exactly when to spice things up and when to hold back. As impressive as the instrumentation on Partycrasher is, there are a few points where the blatant shredding starts to feel a bit cheesy, at least for a punk album. “Ice Man Left a Trail” is one of the strongest on the record with a fantastic hook meshing perfectly with the lead guitar, but for me, the solo during the bridge is a little too over the top, mainly during its second half. 80s metal note bends are probably pretty fun to play, despite their excessiveness, but I have to draw the line at the self-indulgent runs up and down the neck that don’t really sound like anything other than a lot of notes and a lot of noise. Everyone listening to this Massachusetts band is already very aware of the talented musicians at the helm, so these sophomoric, amateur attempts at flexing their technical proficiency just end up feeling redundant and a bit silly, rather than serious. There are times where the shredding is so ridiculous that it leaves me wondering if A Wilhelm Scream is even trying to make a completely serious album at this point. Right before the verse in “Gut Sick Companion,” all of the music cuts out except for one lead guitar, which enacts a few seconds of excessive, nonsensical riffing, sounding like some teenager in Guitar Center with low self-esteem, before the actual song resumes. It’s a very short portion of the track, but the simple act of including it draws attention to the fact that A Wilhelm Scream is either laughably full of themselves (probably not the case) or, contrastingly, more self-aware than ever and willing to acknowledge their sometimes intemperate writing style. As a band that has somehow fallen into fandom with the shred-stifling Lawrence Arms/Red City Radio crowd, I can certainly empathize with A Wilhelm Scream in their desire to keep things as technical as possible, but refined, meticulous punk rock is about as oxymoronic as you can get. The biggest criticism anyone could have for Partycrasher is precisely this amorphous nature. There are plenty of moments of face-melting, Strung Out-esque glory, but the album opens with some of the simplest, most straightforward punk chords out there in “Boat Builders.” We hear the simplicity continue in “Walkin' with Michael Douglas” (one of the least flashy songs I've ever heard from the band), but then hear the guys completely throw that out the window in the following track, "Wild Turkey," with its Mute Print-esque intro guitar harmonies, and then in the album's astonishingly fast finale of chugging in "Born a Wise Man." The genre inconsistencies certainly become prevalent after multiple listens, but these days, we listen to music in an age of in betweens, stylistic combinations, and blurrings. 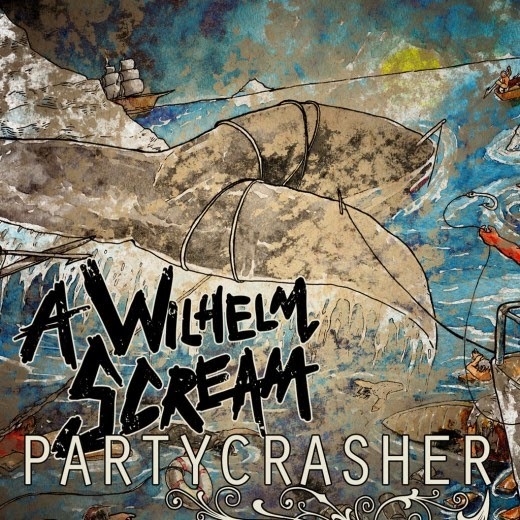 A Wilhelm Scream is merely yet another participant in our widespread community adherence to inclusiveness, where there should something for everyone, and I have to respect Partycrasher for that. My ankle's time of healing will forever live on as, of course, a momentary lapse of judgment, but at that moment, I was also a part of something—something in which I normally wouldn't have ever been included. Whether or not I should have joined in, though, well let's just say my doctor and the music community have some strongly differing opinions.